Tattoos have been a big part of human culture for thousands of years. In tribal nations, tattoos mark births, deaths and major life milestones. In western culture, many young people have adopted these philosophies – albeit with their own unique, postmodern twist. Yet, sometimes you grow up and realize that the tattoos you got as a youth are hindering you more than they are helping you, especially when it comes to looking for a job. While tattoos are becoming more and more accepted, there are many jobs that have a no-tattoo policy. Luckily, one of your best options if to have the tattoo removed with lasers. Here are some of the risks and benefits of laser tattoo removal. One of the biggest benefits of laser tattoo removal is that you have a chance to start over again. Laser tattoo removal uses high powered lasers that basically enter the third and fourth layers of skin and essentially demolish the ink particles that are embedded in the cells. Once the ink is demolished and broken up, it then enters the blood stream and is washed out of the body. When it come down to it, some ink is easier to remove than other types of ink. For instance, red ink takes much longer to remove than black ink. Next, tattoo removal can be beneficial in that it can increase your prospects when it comes to looking for a new job. 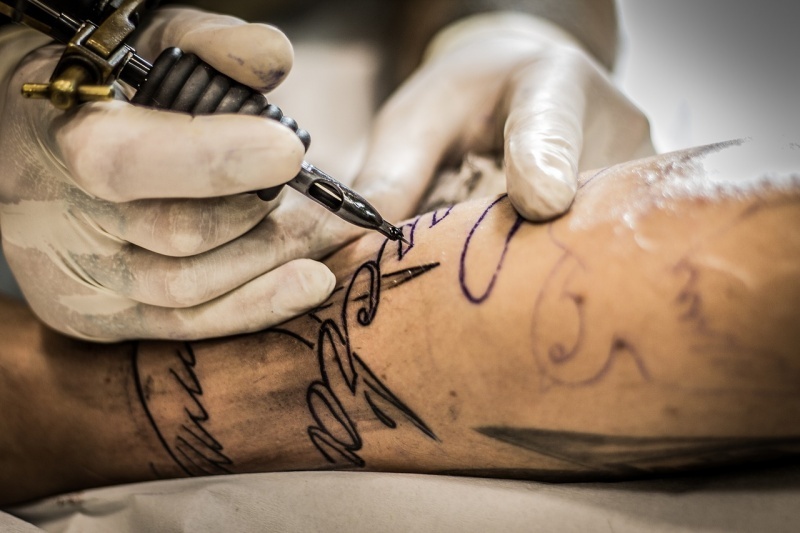 Basically, tattoos can hinder a person’s chances at securing a position, because many employers don’t want to present a certain image to clients or customers. Many people still associate tattoos with gang and prison activity. So, if you have any visible tattoos – tattoos that cannot be covered with a suit – you may want to think about having them removed. Who knows, it could increase your chances of landing a high paying position. However, no matter what color your tattoo is, it can take long time to fully remove the tattoo you want to have removed. Many people think that they can visit a tattoo removal clinic and have their tattoo removed in one sitting. However, it takes many visits to fully remove a tattoo. Also, in the interim, you are often left with a patchy, discolored mark where your tattoo used to be, which can be quite unsightly. So, make sure that you have the time before committing to tattoo removal. Also, one minor risk of tattoo removal is that it could cause infection. This infection could be started locally – in the area of the removed tattoo – or in the body. For example, some people have experienced flu like symptoms after laser tattoo removal. Basically, the body will try to fight off the damage that is being caused by the rays of the laser, which can induce flu-like symptoms. When it comes down to it, though, this risk is extremely minor and rare. Also, removing your tattoos should be a decision that you think about heavily. There are still many jobs that are more tolerant towards tattoos. Also, you don’t have to be heavily tattooed to appreciate the culture. Yes, tattoos are fun to look at, but they can be a serious commitment.